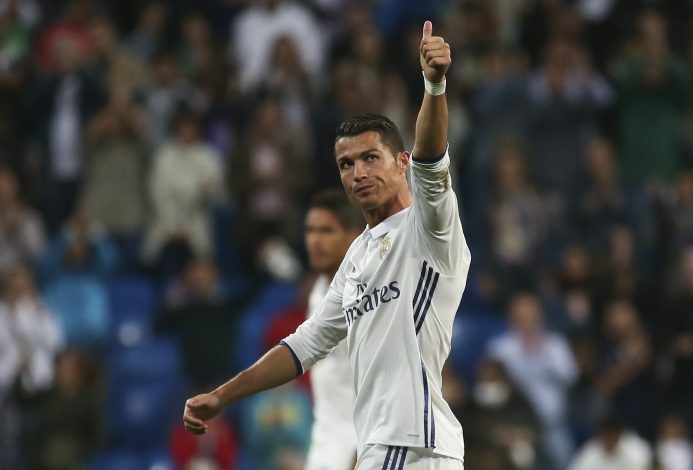 Real Madrid superstar Cristiano Ronaldo will soon be becoming the father of twins, according to The Sun. The Portuguese captain is to become the father of twin boys very soon, as per a source close to Ronaldo’s family. A surrogate mother, who is based on the west coast of the United States, is said to be expecting the babies very soon. Once these babies are born, they will be flown to the 32-year-old’s £5m-worth mansion that is situated on the outskirts of Real Madrid. An inside source has revealed: “Cristiano and his family can’t wait to meet the new members of their clan. He likes to keep a tight lid on his private life but has told loved ones and close friends the baby boys are due to arrive very soon. The report adds that Cristiano Ronaldo, who is currently in a relationship with model Georgina Rodriguez, 23, has not revealed the identity of the twins’ mother to his extended family. This situation is similar to the one when Cristiano Jr was born, as his mother – who has never been revealed to the public – was supposedly paid £10m by the former Manchester United man.